With varying housing styles, homeowners in Shelbyville, KY, depend on a large selection of replacement windows, entry doors, and vinyl siding that fit their ideal curb appeal. Universal Windows Direct offers custom made exterior remodeling products to fit a variety of budgets and home styles. UniShield® vinyl window replacement adds wow-factor to curb appeal. High quality vinyl frames come in a variety of exterior paint color options to coordinate or contrast with the home. The frames are built to relentlessly defend against the elements while boasting unparalleled beauty for a lifetime. Find the perfect window style from UWD. Our window styles are extensive and include double hung, casement, slider, picture, bay and bow, garden, geometric, and specialty shaped. Combine window styles to create a unique look and feel to curb appeal, or make a statement with a single window in a diamond or oval design. For added character and visual interest, upgrade your new windows with decorative glass or grid systems. UniShield® is one of the most energy efficient windows in Shelbyville. These Energy Star-certified windows are highly equipped to block drafts by using advanced locking systems, durable weatherstripping, and our Super Spacer technology. New replacement windows are the top option for making the home more comfortable throughout the year. Combined with professional window installation, homeowners can experience a more energy efficient and beautiful home with UniShield® window products. 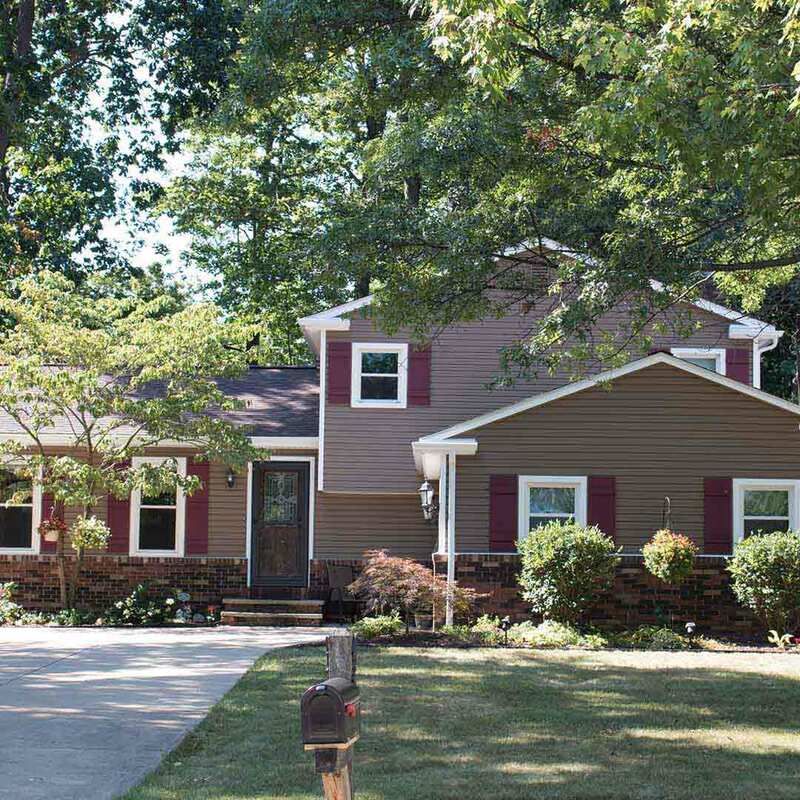 House siding sets the tone for homes in Shelbyville. UniShield® siding replacement is exclusive to UWD, featuring quality panels, luxurious wood grain patterns, and standout exterior colors that make your home more beautiful than ever before. Featuring panel lengths of up to 25’, UniShield® exterior provides a seamless appearance with incredible attention to detail. Enhance the home with upgrades including vinyl soffit, vinyl cedar shakes, and vinyl scallops. With UniShield® exterior, homeowners can expect exceptional quality at the best value. Panels up to .46” thick create a durable siding that’s securely fastened to the home during installation. This exterior is designed to protect the home the elements while improving home performance 365 days per year. Insulated panels further improve energy-saving performance and sound reduction. Our products block airflow that makes its way between gaps in the exterior, causing energy bills to rise. UWD’s innovative housewrap and insulated panels provide the ultimate thermal protection for any kind of weather. Discover the best siding with top return-on-investment through energy savings and style. Front doors made from fiberglass are a fantastic investment for every homeowner. Doors add a small yet powerful upgrade to curb appeal and make an impression for a lifetime. With fiberglass doors, there is no need to sand, stain, or paint. Its reinforced skin makes it highly resistant to dents, dings, and scratches that downgrade the appearance of the door. Both steel and fiberglass doors add a level of security to the home. Steel frames are highly rated for residential security, with the ability to withstand the impact of a 100-pound test weight 7 times. A wide selection of hardware improves the appearance of the door while making it more secure. 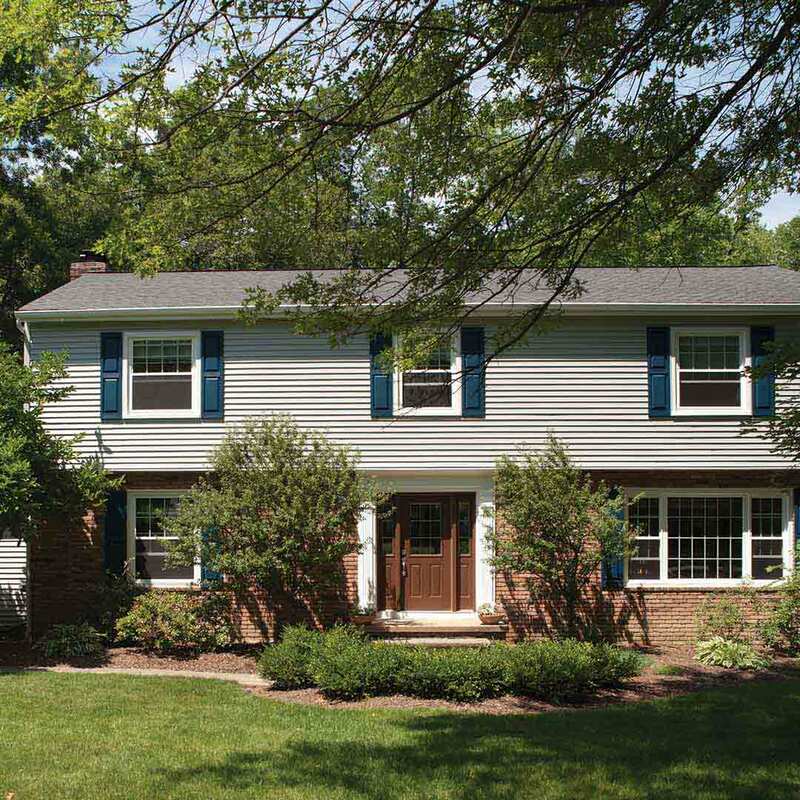 Choose from UWD’s inventory of exterior paint colors for on-point curb appeal impression. 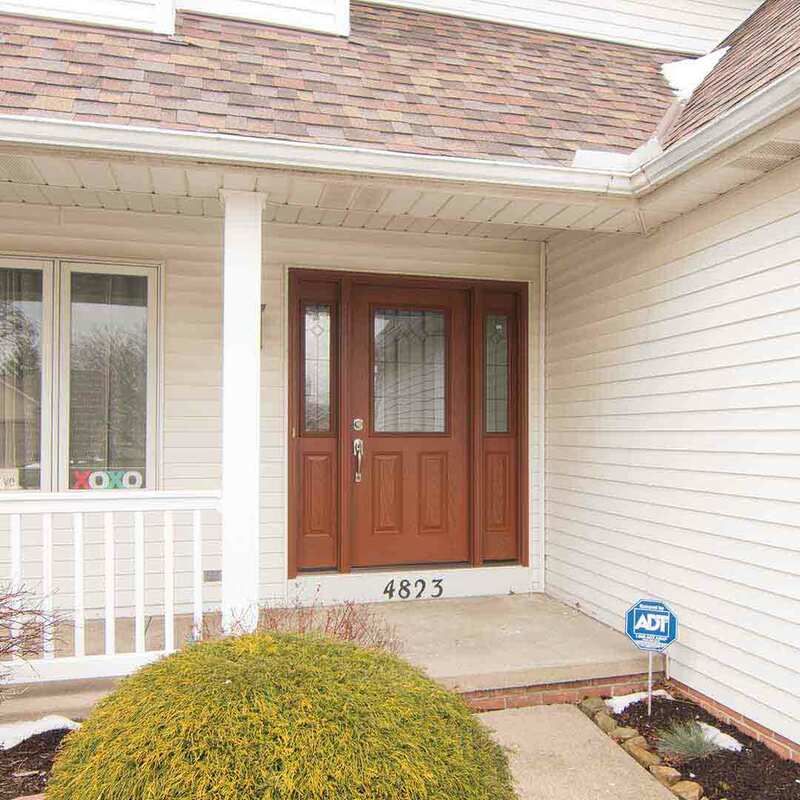 From traditional wood stain options to contemporary paint colors, there’s a door color for every homeowner in Shelbyville. Door installation blocks drafts with durable weatherstripping and an adjustable threshold. Combined with an internal foam core, a front door can dramatically improve energy savings in the home. UWD’s True Lifetime warranty guarantees lifetime performance for our quality windows, doors, and house siding. The warranty covers aspects of the products including installation, craftsmanship, glass packages, materials, parts, and more. UWD also provides installation for maximized product performance. Professional installation makes exterior products last longer, perform better, and continuously offers the best in energy savings. UWD is thankful for the countless homeowners who trust our company to install windows, doors, and siding. We aim to improve the lives of homeowners with products that improve energy savings while providing year-round indoor comfort. Universal Windows Direct is an award-winning exterior remodeling company that was founded in 2002. Our philosophy is constant and never-ending improvement, resulting in services and products that exceed performance and style expectations. We’re ranked #11 on Qualified Remodeler’s Top 500, and #7 on Remodeling’s Top 550. We’re continuously growing and making every home we touch a more comfortable place to live. Choose Universal Windows Direct for everything from our quality exterior remodeling products to our mission of continuous and never-ending improvement.